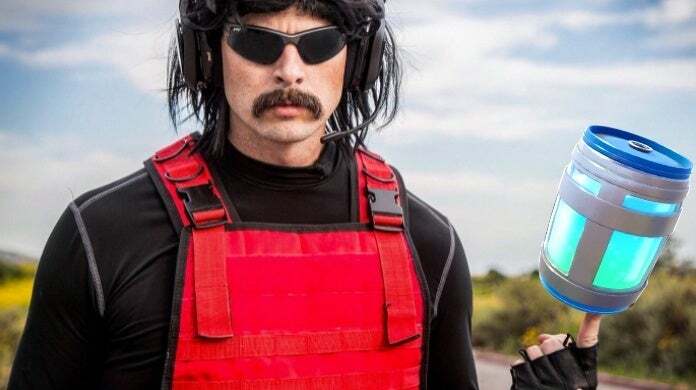 It's well-documented: Dr Disrespect hates Fortnite with a passion. That said, his dislike for the battle royale game may have just hit new levels. When streaming some of the game on Twitch, the Two-Time came across a moment that left him lost for words, and very, very angry, even by Dr Disrespect standards. More specifically, recently the streamer returned to Fortnite to play some of its new Arena Mode. And it was going pretty well for the Two-Time, until he came across a player resistant to bullets. During the exchange, it looked like Dr Disrespect was going to come out the victor as he dropped down on top of the player and rained bullets into them. But, the Fortnite gods had other plans, and quickly his perceived upper-hand disappeared right in front of his eyes as his opponent melted him. And as you would expect, this led to a famous Dr Disrespect meltdown. “What the f*ck is this game about,” yelled the streamer as he pounded his desk. "What is it about? Huh? What is this game about? Are you kidding me!” After the brief explosion of anger, the Two-Time stormed off. However, he eventually came back to stream some more of the game, almost as if nothing happened. Of course, if you're familiar with Dr Disrespect's streams, this isn't anything new. However, this level of madness isn't extremely common. It's mostly anger-fueled rants, but like PUBG, Fortnite is good at pushing the streamer's anger to next levels. Anyway, as always, feel free to leave a comment letting us know what you think or hit me up on Twitter @Tyler_Fischer_ and let me know there. Was Dr Disrespect's anger justified? Has a game ever made you this angry?